Adorned with elephants, hounds, exotic birds and turtles, the Wall Covering Silk Collection is playful yet prestigious. 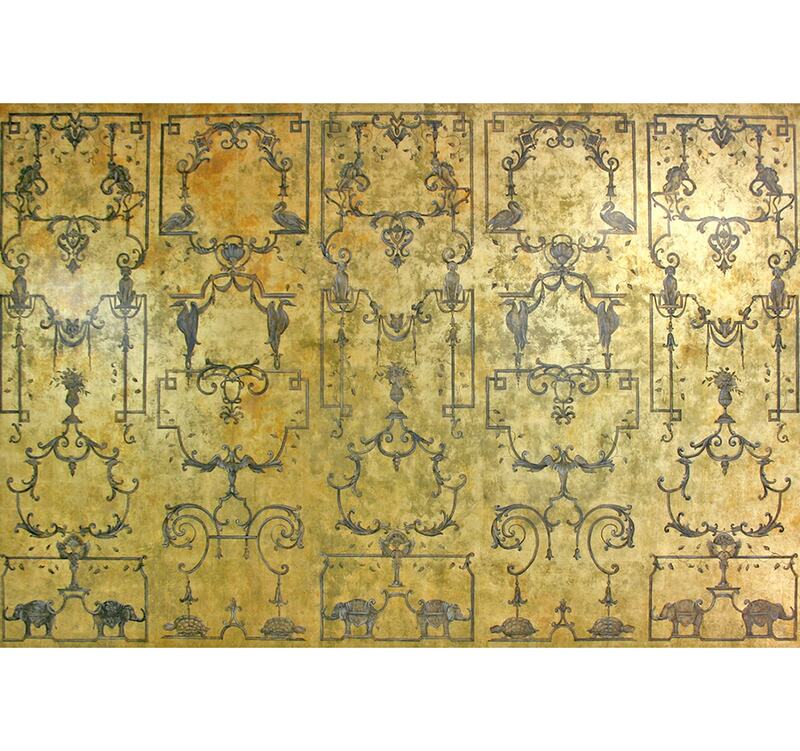 This charming design is hand painted onto aged gold gilt canvas, giving each component an antique appearance. Each piece of canvas is measured and cut to fit the specified, bespoke size of each individual project, thus enabling a bespoke wall finish without any joins. Part of our Gorman Studios collection – a collective of artists specialising in intricately detailed, large scale surfaces. Gorman Studios is a completely unique collective of artists and visionaries who specialise in the creation of incredible surfaces. 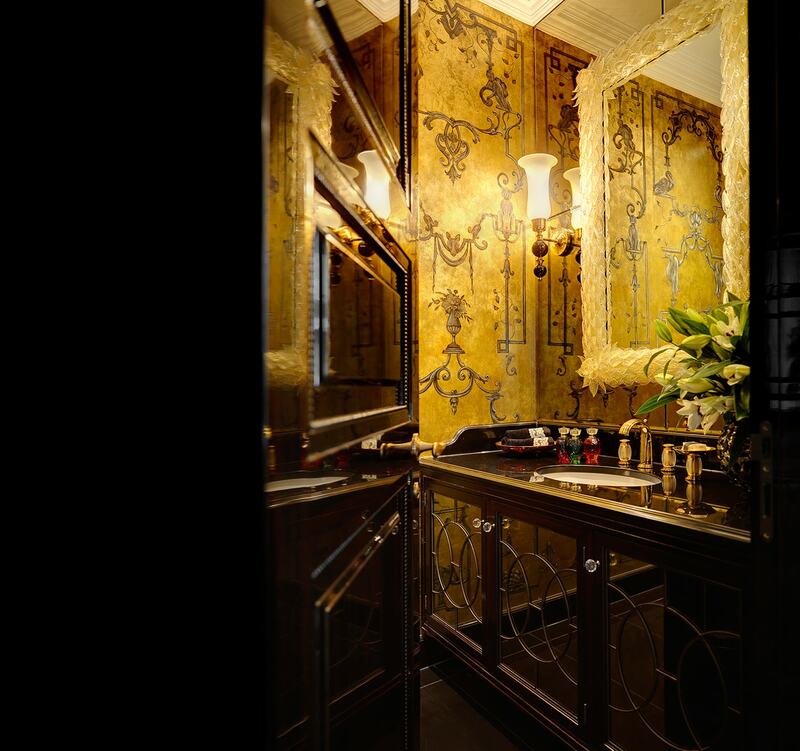 Founded by Peter Gorman in 1983 in Vancouver, work from this unusual studio has featured in the finest hotels, homes and locations around the world. Using incredibly specialist techniques such as verre églomisé, hand painting and contemporary or traditional lacquering, the artisans at Gorman Studios have the ability to create any custom canvas, wall, screen or ceiling you can imagine. Peerless in its field, Gorman Studios push the possibilities of creativity to its very limit.